The first book in the nationally bestselling Tiger's Curse series is now available in paperback Would you risk it all to change your destiny? The last thing Kelsey Hayes thought she'd be doing this summer was trying to break a 300-year old Indian curse. With a mysterious white tiger named Ren. Halfway around the world. But that's exactly what happened. Face-to-face with dark forces, spellbinding magic, and mystical worlds where nothing is what it seems, Kelsey risks everything to piece together an ancient prophecy that could break the curse forever. 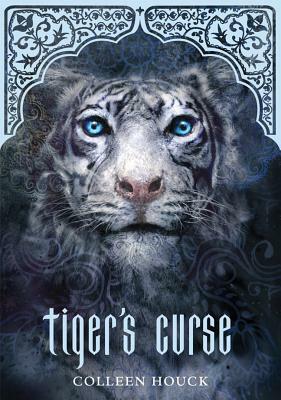 Packed with magic, action-adventure, and romance, the epic Tiger's Curse series will keep you breathless and yearning for more. Colleen Houck's Tiger's Curse, Tiger's Quest, and Tiger's Voyage were New York Times and USA Today bestsellers. A resident of Salem, OR, Colleen lives with her husband and a life-sized white stuffed tiger. For more information visit: tigerscursebook.com.